Louis-Jack Pozner, Esq. is “Of Counsel” to Mack & Associates, PLLC. His practice concentrates on matrimonial and family law, personal injury litigation, legal malpractice litigation, as well as estate planning. Mr. Pozner brings over forty years of experience practicing law to Mack & Associates, PLLC. Mr. Pozner moved to Albany in 1971 to serve for a year as a confidential law clerk to the New York State Supreme Court, Appellate Division, 3rd Dept. Mr. Pozner was admitted to practice in the New York State Courts and Federal District Court for the Northern District of New York in 1972, and then clerked for New York Court of Appeals Judge James Gibson prior to joining the law firm of DeGraff, Foy, Conway & Holt-Harris, in 1973, where he worked in the general litigation field until 1974. He then clerked for Albany County Court Judge Arnold W. Proskin. 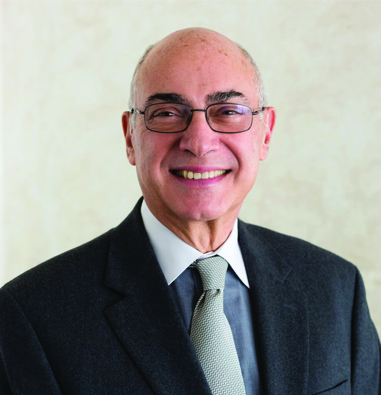 For nearly 40 years, Mr. Pozner has been engaged in the private practice of law. He has concentrated his practice in matrimonial and family law, appearing in the Courts of the 3rd Judicial District of New York as well as several 4th Judicial District and down state Courts. In addition he has worked in estate planning, will drafting and estate administration, and accepts legal malpractice and personal injury cases. He has extensive trial experience in civil cases. He has lectured for the NYS Bar Association in its seminars and served on the State Supreme Court’s Committee on Character and Fitness (admissions committee) and the Commission for Professional Standards (disciplinary committee) by appointment of the presiding Justice of the Appellate Division of Supreme Court, 3rd Department. He has leadership positions in numerous educational, religious and charitable community organizations, most recently chairing a fundraising drive that raised over three million dollars for philanthropic causes. Mr. Pozner is admitted to practice law in the State of New York. Born in NYC, Mr. Pozner graduated from the history honors program at University of Rochester and attended Brooklyn Law School, graduating in 1971, having published a note and been an editor of the law review.